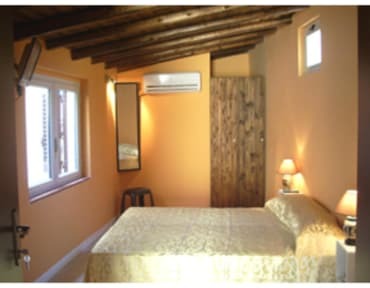 The interior of 'Mille e una Notte' has been entirely refurbished and decorated with modern furniture; all rooms are equipped with bathrooms (hydro-massage showers), air conditioned, television LCD 19' and free Wi-Fi internet access. Continental breakfast, included in the price, consists in coffee or tea, cappuccino and croissant. Typical Sicilian pastry may also be served. A nearby 'belvedere' gives a stunning panorama of the whole famous Valley of Temples (try not to miss the view at night!). 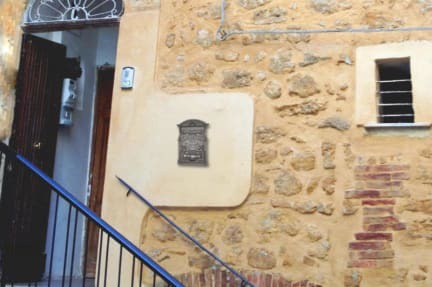 And visitors may do their shopping in the adjacent Via Atenea, or roam the streets and alleys in the historical centre to the discovery of picturesque places, churches and baroque buildings. In the immediate vicinity they can find a multi-storey car park as well of the bus stop for the city, the beaches and the Valley.